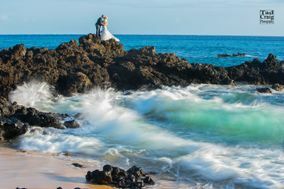 You’re getting married in Hawaii — how exciting! 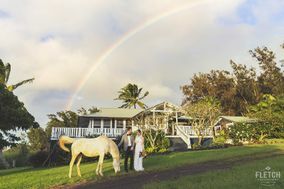 These Honolulu wedding photographers specialize in destination weddings, outdoor weddings, engagement shoots, vow renewals, and more. 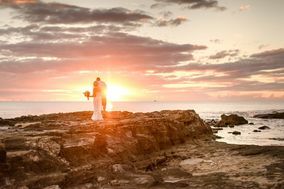 With an island like Oahu, your wedding is already guaranteed to be beautiful. 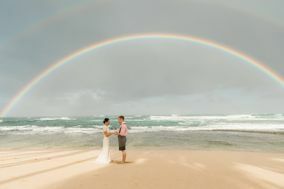 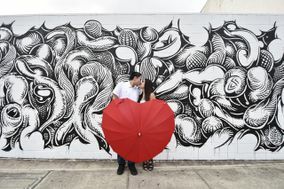 Now it’s time to find Honolulu wedding photographers to capture it all on camera. 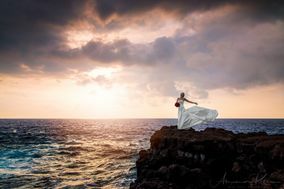 Honolulu is a dream destination for many adventurous travelers. 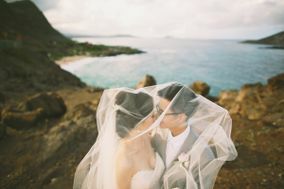 Your trip will be made all the more memorable there if you choose to tie the knot with the one you love in Hawaii. 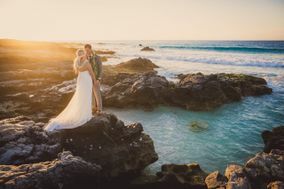 Located on Oahu, you, your partner and your friends and family in attendance will enjoy a blissful day celebrating your nuptials with the Pacific Ocean nearby. 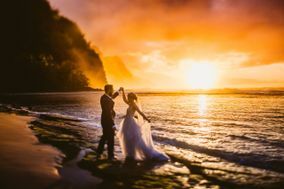 Although it’s easy to get swept up in the romance of the day, plan ahead by hiring one of many talented Honolulu wedding photographers to capture your celebration. 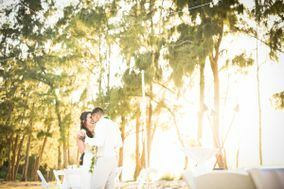 As you begin searching for a wedding photographer in Honolulu that’s right for you and your fiancé(e), think about your needs. 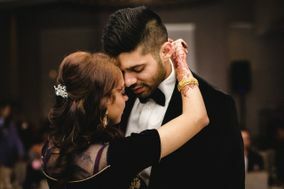 Are you having a small celebration that will only last for an hour or two, or do you need a cameraperson who can commit to being with you all day to document the day’s events into the night? 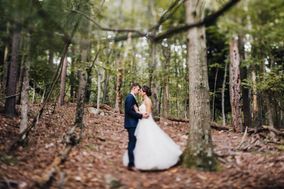 Once you know how long a photographer will be needed, start looking through candidates’ portfolios. 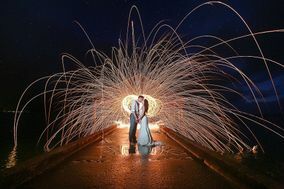 Does their shooting style match with what you’re envisioning for your wedding album? 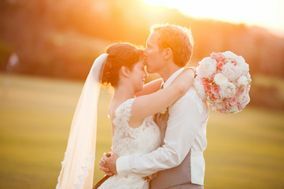 Additionally, you need to look at your wedding budget with your partner. 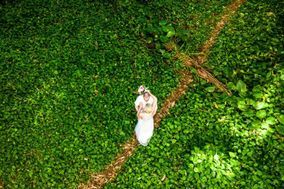 Typically, wedding photography cost about ten percent of your overall budget. 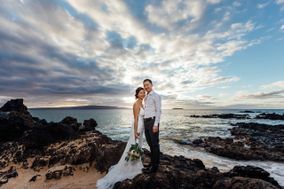 For weddings in Hawaii, this number is a minimum of $2,000 to $5,000 and beyond. 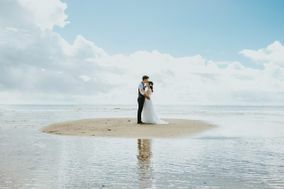 The island of Oahu is known for its beauty, so you can’t go wrong with deciding to take your wedding photos here. 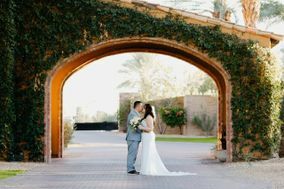 If your photographer is local, pick their brain about which locations could be right for your wedding day photoshoot, but have some backup options on hand as well. 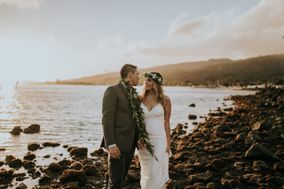 You can’t get hitched in Hawaii without some beach photos, so head to either the populated shores of Waikiki or a more secluded beach if you crave more privacy. 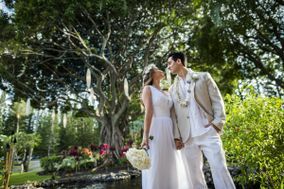 Traipse through the nearly 14 acres of tropical wildlife inside the Foster Botanical Garden, posing with the one you love, or visit the Diamond Head monument to include an Oahu icon in your images. 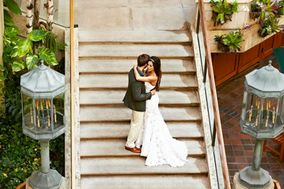 The good thing about picking a wedding date in Honolulu, is that you and your guests will enjoy beautiful weather no matter the season. 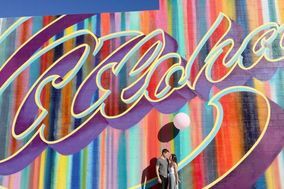 The city experiences highs from the 60s through the 90s throughout the year, with humidity and rain being common. 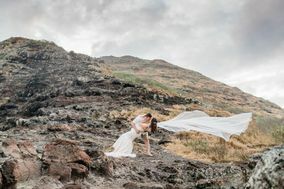 Honolulu residents know to expect rainfalls sporadically no matter the season, so make sure there’s waterproof makeup and awnings available for your loved ones. 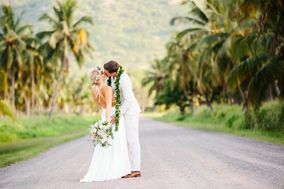 You can already picture the white sand beneath your toes, a fresh lei around your neck and the look of love on your partner’s face as you say: “I do” in Honolulu. 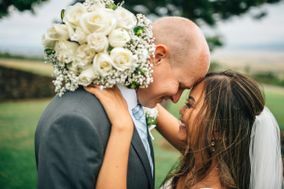 Now all you need is to lay down the plans that will help you build your dream wedding day. 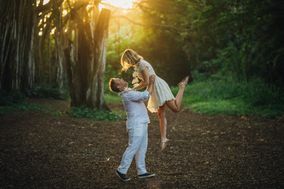 Access the abundance of organizational tools available here on WeddingWire, and start creating the event that will signify your fairytale ending.